The ballast system houses oversized bearings and a magnetize carriage to “seat” all 3 bearings during retrieve. Once released, the ballast is channeled to the rear of the lure to ensure long casts. 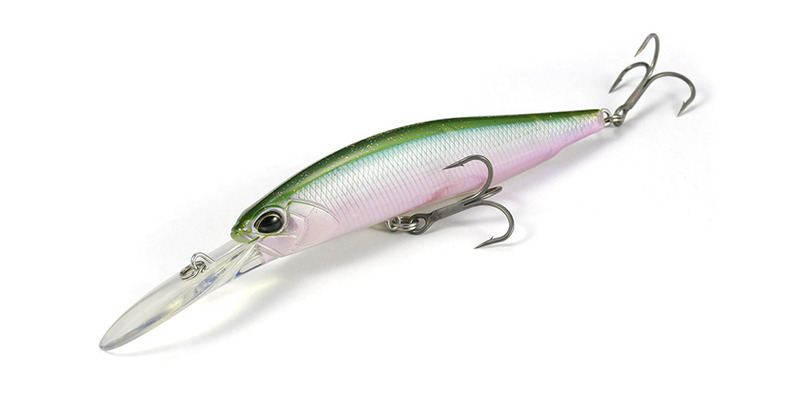 The acustics resonate two different pitch frequencies giving the most advanced jerkbait a unique sound.